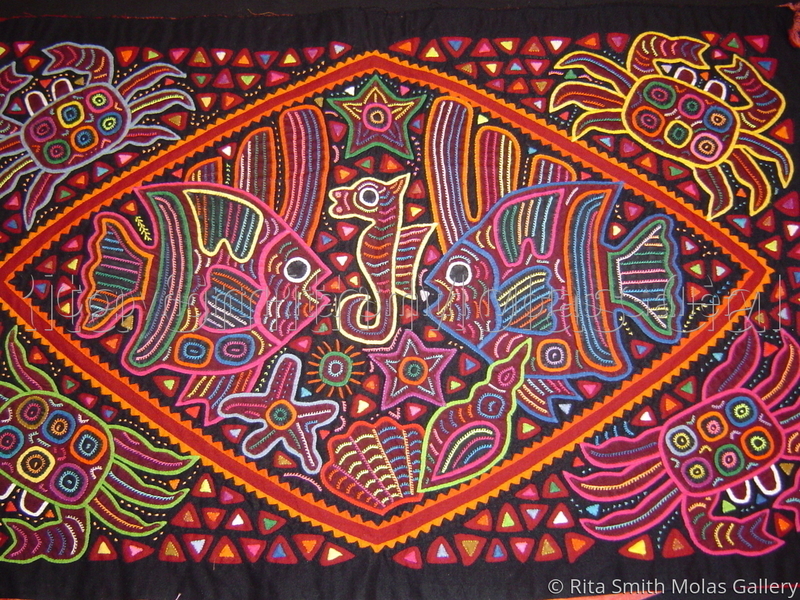 This lovely piece of ethnic Textile Art was entirely handsewn using the method of reverse applique by a Kuna Indian Mola Maker on the San Island Kuna Yala, Panama. Exquisite piece, authentic and genuine. You can frame it, make a wall hanging or bedspread, apply to a Quilt, purse, handbag, pillow, just use your imagination.